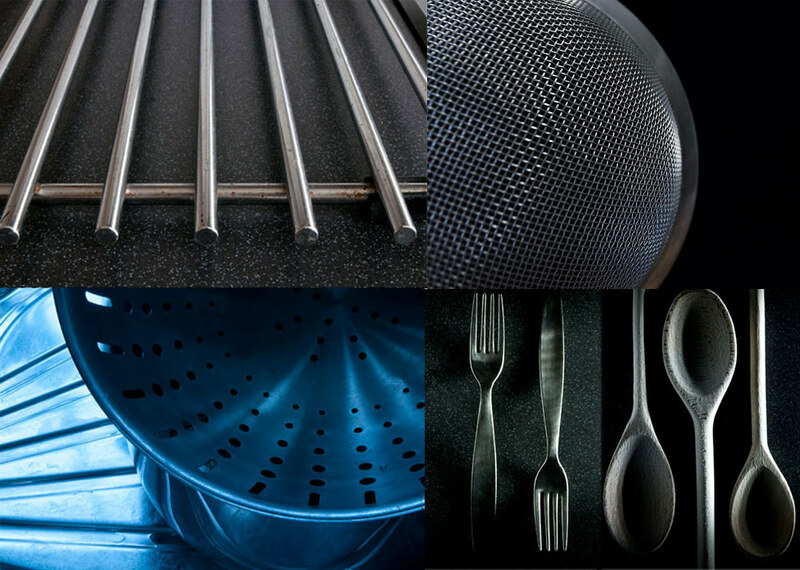 Here's 6 items in your kitchen that can be used as subjects or as photographic accessories to improve your shots. You've probably never considered your kitchen as a location for photography or as a place you can find tools that will actually help you better your photography skills but after reading this article, you'll soon realise it is. Things like pots and pans, colanders and even a trivet can be pressed into service as subjects. Here's a list of items found in your kitchen that can help you better your photography or can make interesting subjects for your indoor shots. Aluminium foil isn't very expensive and it can help you create interesting backgrounds as well as bounce extra light into your shots. Add creases and lines to the foil to create textured backgrounds or get a little creative and make your own reflector by sticking silver foil to something that'll give it a bit more rigidity such as a piece of card. You could make a variety of sizes so you have reflectors that are suitable for a variety of subjects including portraits and Autumn macro work. You can bounce light from your flash gun into this kitchen utensil that'll widen the light, making it less harsh than direct flash alone. The humble colander can also be used as a photographic subject, cropping in close to focus on its shape. For the shot above, the camera was switched to incandescent white-balance to create the blue cast and the lens was pulled back to include the sink which makes an interesting background. Foil was used to fill in shadows. Spoons and forks can be used in still life images as well as in arty kitchen themed images on their own. Worktops, wooden chopping boards and even the kitchen sink can be used as backgrounds for your shots. In fact, objects can be simply arranged on the worktop in various compositions, with the camera and lens simply aimed downwards. Used by bakers normally, greaseproof paper can be used to diffuse light either from windows or flash guns.